Sign and share the workers’ change.org petition now! Over 1.3 million people–predominantly women–in the Philippines are employed in the Business Process Outsourcing (BPO) industry. This includes the calls centers that are contracted by multinational corporations like Comcast, AT&T and Citi to provide customer service, for everything from mobile phone set-up to household appliance troubleshooting to credit card activation. Without Filipino workers in these call centers, millions of people around the world would find their lives disrupted by their inability to get help with the basic services they rely on. But the BPO industry is notorious for its irregular employment practices and rampant contractualization of jobs, rock bottom wages and diminishing benefits, and systematic trade union repression. Alorica-West is the worst of the worst. 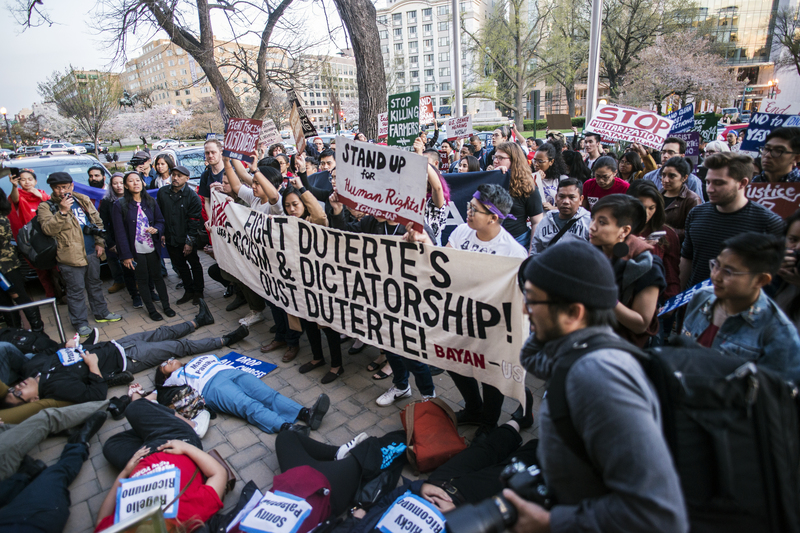 Since the American corporation Alorica acquired Philippine-based West Contact Services in 2015, Alorica-West has subjected its 4,500 workers to attacks on their right to security of tenure due to new company policies implemented without consent. These include an arbitrary 8 point attendance system and a so-called employee development program that imposes unrealistic performance standards on workers. When the workers established the Unified Employees of Alorica (UEA) union to fight back and demand fair working conditions, Alorica repeatedly tried to crush the union’s organizing efforts, including unsuccessful attempts using unfounded accusations to nullify UEA’s union certification. 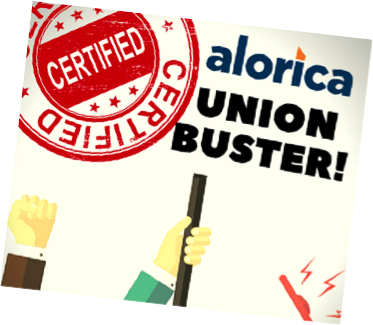 Alorica has terminated 200 workers since February this year, including 135 union members and 11 union officers. In September, UEA issued a Notice Of Strike, and three days later Alorica terminated the union secretary general, Jean Azana. But UEA continues to fight back! They plan to pursue their strike to demand an end to the massive dismissals of workers, the arbitrary 8-point performance system, union-busting, the diminution of wages when employees are transferred, and Alorica’s other egregious practices. Because Alorica operates 18 contact centers which employ over 30,000 people throughout the Philippines in addition to those operated by Alorica-West, the result of this battle can have a huge ripple effect among tens of thousands of Alorica workers, as well as for the 1.3 million-strong workforce throughout the industry. Alorica has no right to treat its workers like dirt. Please support the Unified Employees of Alorica now! 1. SEND A SOLIDARITY MESSAGE in the form of a written statement or video in support of UEA’s campaign. Send solidarity messages to BienPhilippines@gmail.com and it will be published by BPO Industry Employees’ Network (BIEN), an organization of employees in the Information Technology-Business Process Outsourcing (IT-BPO) industry in the Philippines, promoting employees’ rights and welfare. 3. POST A SELFIE holding placards with the calls: “Alorica: Stop union busting!” “Alorica: Stop illegal dismissals” and using the hashtag #StandwithUEA #RealAloricaStory #BPOWorkersOnStrike. Download Placards HERE! For more information, please visit the change.org petition.